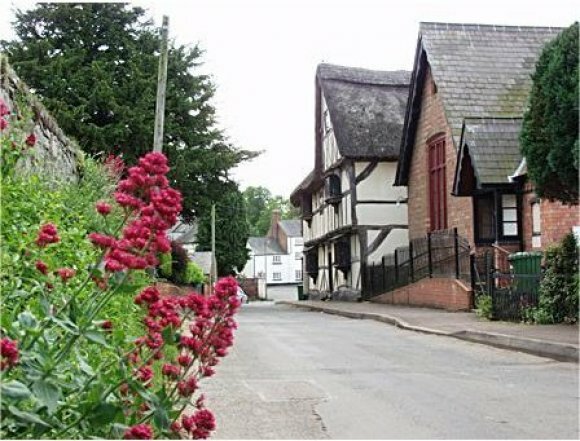 Located in Church Lane opposite the Church, forms a focal point for village life by providing an up to date and comfortable venue for private and public meetings and functions. The historic building was built in 1862 as the village school, and became the Church Hall once the school had closed. In order to fund necessary improvements and create a more versatile space, Mavis Jefferey, the Chair of Shearsby Parish Meeting at the time called a meeting to vote on the plan to purchase the Church Hall. The plan was agreed and the funds raised for the Parish to purchase the freehold of the Hall in 1997, with the intention of raising the further finance needed to extend and renovate the existing structure. 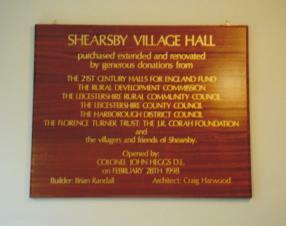 A charitable trust was formed to manage the Hall and, with remarkable speed, raised the funds necessary to realise it’s plans. Plans were drawn up to allow the Hall to be extended as far as the plot would allow and re-build the existing structure to the latest standards of comfort, health and safety, accessibility and environmental efficiency. Local fundraising and grants from several organisations including the Millennium Commission met the costs. The Hall re-opened in February 1998, and has been enjoyed by all sectors of the local community since. 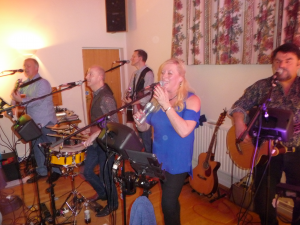 The Hall is equipped to the highest standards and suit’s a wide range of uses. The kitchen is fitted with a professional catering gas range cooker and hob, and rapid dishwashing facilities. Tables, chairs, table ware, glasses and cooking equipment are provided for up to 60 people. 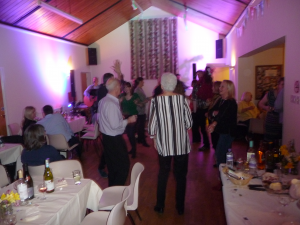 The Charitable Trust consists of a management committee, that works hard to maintain the Hall.The management committee consists of Martin Littlejones (Chairman), Jill Stanley (Treasurer and bookings), Nora Burton, David Durran, Susan Swaine, Paul Chawner and Jon Gunnell. Jill Stanley on 01162 478540. 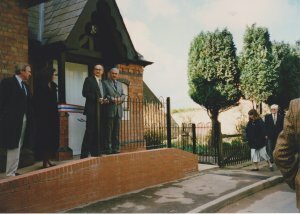 The opening of the village hall following its rebuilding, 28th February 1998. 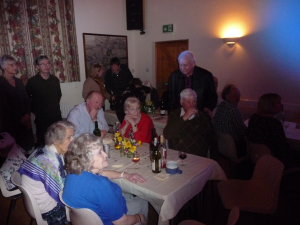 A photo of the village hall 20th anniversary celebrations, 25th February 2018.